​Andrea has been teaching yoga for 18 years and is an Advanced Jivamukti teacher studying directly from Sharon Gannon and David life. She is a mentor on the Jivamukti teacher training faculty and has taught at various Jivamukti centres around Europe including Jivamukti London 2005-2009 , The Looking glass Basel , Jivamukti Berlin and Peace Yoga Berlin . Andrea is a Level 2 trained yin teacher under the guidance of Sarah Powers , she is interested in exploring Buddhist teachings alongside this work . She has trained with Judith Lasater and is certified in Restorative yoga . She teaches workshops and retreats both in the Uk and abroad. Anna started practicing yoga in 2012 when, as a runner, she discovered how much her running improved with the strength and flexibility gained through a regular yoga practice. Drawn to a movement-based, dogma-free approach to yoga, Anna undertook her teacher training with the Freestyle Yoga Project in 2016 and is a registered teacher with Yoga Alliance UK. Anna teaches dynamic vinyasa yoga and movement. Her interest in running and callisthenics has led to a strong belief in continuously staying curious and drawing on movements learned from other disciplines to keep her yoga fresh and interesting. Classes allow students to develop their physical abilities as well as their mental focus and control. Her approach is fun, grounded and informal. She loves working with beginners and more experienced practitioners alike, and gets particularly excited by working with athletes looking to develop their skills through yoga. Ashley found her way into her first yoga class over 20 years ago when searching for a movement practise to support her during the university years. Since then Ashley has continued some form of daily mindful movement practise. Her focus over the years has been on supporting students to explore the many facets of yoga with invitation and exploration; working to make the experience of yoga accessible and welcoming to all communities. Ashley has a Masters degree in education with a specialisation in child development and adolescent psychology. She worked as a primary school teacher teaching both in London and in the United States. Ashley received her RYT200 certification in 2015 and continued her training to include certification in restorative yoga and pregnancy yoga (with Birthlight Yoga). With the aim of bringing several of her loves together: movement, psychology and philosophy Ashley began exploring movements that support both body and mind. Ashley has completed the Trauma Centre Trauma Sensitive Yoga training with David Emerson and is a TCTSY facilitator. She is also a trained teacher with the Prison Phoenix Trust. And she teaches yoga and movement in both prisons and other locked facilities as well as other clinical settings. Ashley has begun to weave her yoga teachings with somatic enquiry, authentic movement, meditation and mindful strength working to create classes that are accessible, creative, deep and relaxing. Becca first discovered the power of yoga in her late teens whilst at university in Birmingham as a means of keeping fit and healthy and also dealing with the pressures of student life. It became a regular part of her post college, adult life and she later followed her passion to India where she trained as a teacher of hatha yoga in the Sivananda tradition. She is also trained in childrens yoga under the tutelage of Jo Manuel at The Special Yoga Centre. ​Becca has taught at several yoga centres both in the UK and also overseas including Triyoga and the Special Yoga Centre in London and the world renown Esalen in California and is delighted to be now teaching in Cambridge, the city of her birth. Becca truly believes that by incorporating yoga alongside meditation and holistic therapies such as massage and reiki, ​there is a way to move through the challenges of modern life with a sense of greater sense of ease, understanding and empowerment. She loves to share the knowledge she has gained over the past twenty years with her students so they can find ​good ​​health, ​flow and ​even ​an increased sense of joy in their own lives. Laughter is no stranger to Becca's classes! ​Beverley, is a yoga teacher with 30 years experience registered at E-RYT500 and YACEP level with the international Yoga Alliance. She is also a Registered Somatic Movement Therapist and Educator with ISMETA. Based in Cambridge, she travels widely sharing new ways to think, move and feel through the body. When she is not doing this, Beverley facilitates creative journaling projects on line, in workshops and in the landscape. Since having her first child at 23, Bryony has always had an interest in supporting others through the journey of pregnancy, childbirth and parenting. She studied permaculture and sustainability and has worked in both Australia and the UK in community engagement roles, supporting groups to work towards environmental responsibility and community cohesion. Bryony has practised yoga in various forms since 2003 and discovered Birthlight during her second pregnancy. She was so inspired by the ethos of Birthlight and the positive effect it had on her whole family through her second journey into parenthood. Bryony says: "It is always such a privilege to work with families through this exciting and often daunting time of their life. Bringing a gentle and deep yoga practise to this journey can really ease the transition into parenthood, providing a solid foundation with which to grow, birth and nurture our babies and ourselves." Bryony is also a firm supporter of the Health at Every Size and Body Positivity movement. Her classes are designed to be inclusive- for all body shapes, all fitness levels, all styles of parenting; a warm and nurturing space where each individual, babies and adults alike, is welcome to be just be themselves, have fun and make friends, as we all take steps towards ease and peace. Bryony teaches Birthlight classes in Pregnancy Yoga, Nurturing Baby Massage, Mother and Baby Yoga and Parent and Toddler Yoga. She also trains teachers for Birthlight across the globe and works as a birth and postnatal doula. In her spare time she loves to spend as much time as possible with her gorgeous family, do various crafty things, practice yoga and work on her allotment. Carolyn combines the 23 years experience she has as a Clinical Psychologist in the NHS, working across all age ranges in Mental Health, with her absolute, heartfelt dedication to and experience in meditative practices, predominately the liberating power of resting deeply. Knowing ourselves deeply, welcoming the whole of life, trusting we are absolutely part of it & belong, supporting others to be more at ease, to find friendliness towards themselves and their experience has been and continues to be a lifelong passion of hers. Carolyn's own practice (which combines meditation, silence, nature & basically everything that comes my way) has revealed what is possible when she stops trying to reach out beyond herself for answers, for satisfaction. She continues to be curious and open to what we are really capable of when the pressure is off and the kindness is on! Carolyn is delighted to offer this class for Satyam Yoga centre. Daisy has been practising Iyengar yoga for the past sixteen years at The Buddhist Centre, Cambridge. In addition to this, she qualified as a Hatha and Vinyasa yoga teacher under The Yoga Alliance, an Internationally recognised regulation body for yoga teachers. As a lifelong yogi practitioner herself, she continues to be influenced by many of the widely available forms of yoga, and is highly influenced by Iyengar, Ashtanga, Hatha, Vinyasa, and, more recently, Forest yoga. She takes aspects from all the yoga styles and delivers a unique combined approach in her group classes and with her private clients. Continually and enthusiastically dedicated to her own personal self development, Daisy imparts the most up-to-date yogic suggestions and ideas surrounding yoga and the bio mechanics of practising safely. Daisy loves the playful aspect of yoga, the trying, the failing, (the falling! ), the progressing, the determination of mind and body combined, the focus, the mental stability, the minute improvements each day, getting to understand my body and its possibilities - and limitations, connecting to her breath, using yoga as a form of meditation, and just being present – really, truly present. Daisy has always been active - swimming, running, spinning, netball, surfing, paddle boarding – but has never considered herself a sporty person - more a person who was desperately trying to ward off, or at least stabilise, her mental health symptoms, having suffered with depression and anxiety. She discovered that yoga satisfied not just the physical body, but also connected the mind and soul with the body. Practising yoga gave Daisy that one consistent in her life, and made her feel part of a special historical, yet ever evolving tradition. Supporting and guiding you through yogic techniques, to help support change in your body, your mind and your life. ​Leaving her corporate job in November 2014, Felicity made a choice to drastically change her life, embarking on a adventure of exploration and self discovery. 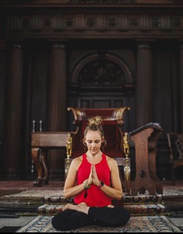 Completing her first Teacher Training in India, Felicity then travelled to Ubud in Bali and completed a second training with Anna Forest trained teacher Les Leventhal. Over the months Felicity was teaching in Malawi, Cape Town and Sydney, returning to the UK in February 2016 to help deliver her first niece and make home in Cambridge. Felicity's passion for life and colourful personality is reflected in her teaching, encouraging you to reconnect with your body, finding freedom in your flow. ​After attending his first yoga class in 1996, Hakan knew from that moment that he wanted to spread the benefits and joys of the practise through teaching. He hasn't looked back since.Hakan is a 300hr Certified Jivamukti Yoga Teacher; he trained in the Jivamukti Yoga method with David Life, Rima Rani Rabbath and Anja Kuehnel. He holds numerous certifications in the practise of yoga including Hot Yoga (trained with Jozef Wiewel), Restorative Yoga (trained with Beverly Nolan) and Yin Yoga (trained with Andrea Kwiatkowski). Hakan completed his 200hr teacher training with Camyoga and since then he has been teaching and practicing various yoga methods at both the Cambridge and Buckden studios. Hakan skilfully creates sequences that suit the energy and ability of each class, but never fails to challenge and inspire all of his students to honour their true capabilities on and off the mat. He spreads the message that one should be grounded, mindful and aware of their own limitations and should respect them through their practise of yoga. Hakan believes that the path to enlightenment is realised through being compassionate towards all beings. Har Hari's initial training in Pilates was with The Pilates Institute in 2000 and she has been teaching ever since. Prior to that training she had studied yoga, mime, dance, and acting (including a strong dose of physical theatre). She will soon embark on further training, with Madeline Black which will deepen her knowledge of functional anatomy. She says "my classes are all basic introductory level which focus on centering, breath-work, body awareness, alignment and relaxation. This doesn't mean they are easy! It's my hope that the classes are always enjoyable and worthwhile though. For me, the Pilates method has the potential to support us intelligently in our physical bodies right through into our later years. Just as Joseph Pilates intended (and as he himself demonstrated), it's possible to have a strong relaxed body well into your 80s". Hermione found Yoga 10 years ago whilst living and working in London. She found it to be both the perfect complement to her training for triathlon events as well as an oasis of calm at the end of a challenging day's work as a primary school teacher. During a career break travelling in 2010, she was drawn to the Samadhi Yoga Centre in Australia (now Jivamukti Sydney) and completed her Yoga teacher training there. Her teachers (Katie Manitsas and Idit Hefer Tamir) inspired in her a style of Yoga which she would describe as Hatha Vinyasa with a Jivamukti ‘flavour’. Hermione has come to really value the role of mindfulness meditation, both during practice and everyday life, and you will notice a strong emphasis on this in her classes. She more recently completed the MBSR course at the Buddhist Centre in Cambridge. ​Balance and 'coming into balance' is a key theme for Hermione (both on and off the mat). Finding a connection with our bodies, our environment and other beings through breath and movement is a grounding and balancing experience that she hopes students will share through her teaching. She likes to incorporate an eclectic soundtrack into her classes to enhance the Nada Yoga experience. Howard first became interested in yoga about 20 years ago when he was working as a carpenter / joiner. He studied martial arts as a way of keeping fit, but he sustained a number of injuries & initially practiced yoga to help 'fix' these. Eventually he sustained a serious injury & found that yoga & acupuncture were the only things that helped him. His interest in yoga grew and gave him a greater understanding of energies, the mind body connection & how yoga can heal on many levels. He started practicing Ashtanga Yoga, which inspired him to learn to teach. 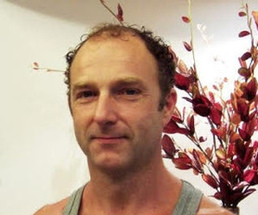 Howard is a qualified yoga teacher, he has studied the art of adjustment, is a level three Pilates instructor & a Thai yoga masseur. All of which has given him a greater understanding of how the body works, which informs his yoga teaching. Howard has studied with Louise Palmer, Mark Singleton, Abby Hoffman, Mark Freeth, Brian Cooper, Hamish Hendry, John Scott, David Swenson, Manju Jois & Denise Martin-Harker. Howard's aim is to make yoga and Pilates accessible & enjoyable for students of all ages & abilities, giving them the tools to deepen their own knowledge & understanding of their own bodies & minds. Iir is originally from Indonesia, training in Bali before moving to Cambridge in 2015. She is an Associate level II with Yoga Alliance Professionals UK. She began her yoga journey early in her life to help with asthma, gradually evolving into regular asana practice. From then on, she has been practicing yoga for more than half of her life and yoga has become her way of life. Iir never planned to be a yoga teacher but during her home practice, friends started coming over and encouraged her to take her teaching qualifications. After exploring many different types of yoga, Iir formally qualified to teach Vinyasa from Frog Lotus Yoga (FLY) International. In August 2016, she completed Forrest Yoga Advanced Teacher Training with Ana Forrest, which she found deeply empowering. She is now under the mentorship with Jambo Dragon, one of the Guardians of Forrest Yoga. Iir comes from a place of kindness from the heart when she gives hand-on assists in her classes. With her passion to learn and philosophy of constantly being a student in life, she regularly attends workshops and trainings from world-renowned teachers to improve her practice and her teaching skills. She never missed David Swenson’s visit in Cambridge, and loves learning from many different teachers such as Leslie Kaminof, Marcus Veda of Rocket Yoga, Dylan Werner, Alexandra Crow, Doug Swenson and Michael James Wong. She intends to continue this because she believes that one cannot give from an empty cup. Prior to becoming a yoga teacher, Iir taught languages for 12 years, so teaching is something she is very familiar with. With her Master's Degree in Psychological Education, she brings her understanding of progression into her classes. She breaks poses into smaller components and sequences mindfully and intelligently to reach a peak pose, with strong emphasis on the breath-movement connection, integrity and mindfulness. Jane’s interest in yoga began in her late teens. She discovered Iyengar Yoga as a student at Birmingham University in 1992 and it soon became an important influence in her life. Since then she has trained in the UK, France and India, including spending a month at the Iyengar Yoga Institute in Pune in 2013 the year before BKS Iyengar died. She has been teaching since 2011 and it is a great honour to pass on her love and knowledge of yoga to others. Meanwhile she continues to develop her own practice, attending weekly classes with Sasha Perryman, her regular teacher in Cambridge, as well as workshops and intensives with other senior Iyengar Yoga teachers when she can. Janine has spent the past 16 years developing her personal practice and teachings through daily asana, pranayama and meditation. She feels deeply blessed to have met Jude English and Isaac Pena 12 years ago in NYC, where she has studied vinyasa yoga with them through their Sankalpah Teacher Training, many focused workshops, and home practice. Through their guidance and support, she has developed a deep understanding of alignment based sequencing with the important incorporation of breath led movement and meditation. This instilled the love she has of a strong movement and stillness practice. Janine has expanded her yoga study and teaching to include the Yin Yoga level I and II with Depth Psychology teaching certification with Sarah Powers, and is currently enrolled in Sarah’s Insight Yoga Institute (500 hrs) to deepen this aspect of practice. She has completed Therapeutic Yoga teacher certification with Cheri Clampette and Arturo Peal, as well as becoming a licensed health coach with the Institute for Integrative Nutrition. Combining yoga teaching and her wellness counseling, Janine founded NourishYourself in 2011, to offer a holistic and integrative approach to health and well-being. She continues to study with Sarah Powers and her Vinyasa teachers. Janine holds two bachelor degrees from The University of Rochester in Political Science and Public Health and holds a Master of Public Health from New York University. Jenny discovered yoga in 2013 when she was training as a dancer, as it was used to build strength and flexibility. She fell in love with it instantly and yoga has been a huge part of her life ever since. Jenny realised that yoga wasn’t just benefiting her physically, but it also had a profound effect on her mental and emotional well-being. Having suffered with depression for the majority of her life, yoga has since supported and carried her through some difficult patches, by aiding her with a sense of peacefulness, mindfulness and happiness. She believes that yoga is the journey back to the self, which has been lost through years of social conditioning and ‘norms’. Jenny originally trained in the 26/2 hot yoga, and soon after became engrossed with Vinyasa Flow and Yin Yoga. Three yoga teacher trainings down the line, two of which were with Camyoga; Jenny is keen to share her knowledge and passion through her teachings. She has also trained in Zumba and Barre Concept. Jenny’s degree was heavily focused on social anthropology in dance, which has grately influenced her teachings. Of course, dance has also massively impacted her yoga teachings; she likes to break ‘typical’ boundaries by coming off the mat, changing direction, dynamics and levels but she is also very concerned with correct alignment. Expect a slower paced flow in which you can explore the realms of your body within endless movement possibilities. ​After practicing yoga for over 10 years, Joana embraced the need to share this practice with others and completed her 200hr Yoga Teacher Training in Guatemala in 2017, becoming a Certified Yoga Teacher as set forth by Yoga Alliance. Immersed in the study of History, Anatomy, Philosophy, Methodology and Asana of Yoga, she explored and practiced many different Yoga practices (pranayama, meditation, kirtan) that today she bring into my classes. Holding a safe place, where each student can discover its own self, body and mind, Joana’s classes explore Yoga as a tool to blissful awareness, relaxation and acceptance. Joana am particularly passionate about Vinyasa Flow and Yin Yoga and loves incorporating poems, mantras and breath work in her classes. Jo has been a long-term yoga practitioner for over 20 years and has been teaching adults, teens, children and families for 9 years. Her focus is on developing mindful awareness and her classes blend together somatic enquiry, traditional yoga asana, creative movement, breathwork, meditation and deep relaxation. Jo was very fortunate to do her yoga teacher training with Swami Pragyamurti Saraswati in the tradition of the Bihar School of Yoga. She has also done training in Yin Yoga and Ashtanga Yoga. With a degree in Social Anthropology, Jo has always been interested in working with people and supporting them to find meaning and fulfilment in their lives, and to reach their potential. Having worked in supportive and therapeutic roles with children, young people and their families for many years, Jo now works to increase access to the life-enhancing practices of yoga and mindfulness, teaching at the Cambridgeshire Deaf Association and for the local authority and other local organisations and charities. Alongside her husband Paul, Jo founded the Satyam Yoga Centre in October 2016. Jo has been living holistically for 20 years; practising embodied spirituality, connecting with the spirits of the natural world, honouring the Divine and working with Universal Energy to bring comfort and healing to her family, friends and clients. She loves working with others as they discover and deepen their connection to their own interpretation of Sacred. Jo has been surrounded by sound for as long as she can remember. Growing up in two musical families, she was able to pursue both her interest in natural sciences and sound. Reaching a crossroads, Jo chose to read for a degree in Music and Popular Music at the University of Liverpool. She went on to study for a PGCE in Secondary Music Education, but part way through fell ill, and her path changed, leading her to deepen her interest in holistic healthcare. It is nearly a decade since Jo moved to Cambridge, and it was here that she fell seriously ill again – major life changes followed, and today Jo is fully immersed in supporting others to improve their health and wellbeing on all levels. Jo is a passionate Sound Healer, Reiki Master Teacher, Spiritual Companion and Doula committed to bringing integrated holistic support to all. Her blend of evidenced based techniques and grounded presence is both practical and deeply comforting. Jo offers individual and group sound baths, one-to-one Reiki healing and teaching, Sound healing and Spiritual Companionship, as well as creating simple ceremonies to mark important life milestones. Jo will be offering sound baths as a part of the Friday Restoration Hour Sessions. Julie took her first yoga class as an undergraduate in 1988 and fell in love with body movement at that point. She has attended classes in this and other movement and yoga styles ever since and over the years has developed a regular personal practice. Around 2006 whilst pregnant she also discovered the support afforded by pre and post-natal yoga and the active birthing movement and continued to home practice as a new mother. She qualified to teach Open style yoga in 2015 and Pre-Natal Yoga in 2016. Subsequent training has been undertaken withSarah Powers in 2018 on her Insight Yoga Level I training (Integrating yoga,Buddhism and psychology). She continues to study Hatha yoga with Cambridge teachers, recently completing the Insightful Teachers qualification at SantoshaYoga. She is a lifelong student of mind/body practices. At present she teaches hatha yoga and yin/restorative yoga always with a keen interest in the underlying philosophy and encouraging a sceptical but curious approach. She is generally interested in somatic exploration through various methodologies and classes offer a fluid and exploratory approach to movement. The aim is always to nurture a sense of adventure in students. Julie hopes that everyone will be able to find a personal expression of movement on the mat that meets each individual where he or she is at that time and evolves from that point into something helpful. Maybe even a lifelong love. 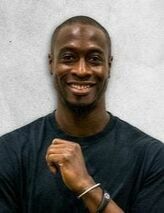 ​Having gone from being super active and very athletic all of his life to a rapid deterioration in his health - struggling with constant lethargy, weight gain, depression, low self-esteem and the emotional and financial consequences that come from this - Karim was inspired by a friend to empower his mindset as a way of creating long-term and sustainable changes within himself. He joined the Body Transformation Academy of London, to study the science of Body Transformation, including neuro-muscular connections, nutrition, body sculpture and athlete-winning mindsets. He learned that lasting change can happen in as short a time-frame as 8 weeks and he now wants to share these techniques with others that may benefit. If you have the will, Karim has the ways. Of Swedish origin, Karin moved to the UK in 2000 to take up a job in an Arts organsiation in London. At the same time an increasing interest in Yoga took her to Mysore, India where she studied Ashtanga Yoga with BNS Iyengar. Upon her return to London she started her teacher training with Lara Baumann, founder of Quantum Yoga, who inspired her to be creative with her practice. Always looking to broaden her perspective and experience of yoga, Karin has studied with a number of well respected teachers including Clive Sheridan, David Swenson, Danny Paradise, and Andrew Eppler. During her first pregnancy Karin also trained as a Pregnancy Yoga Teacher with Dr. Francoise Freedman, founder of Birthlight, who has been a great inspiration and mentor. Lindsey started practising Pilates in 2011 as a means to keep fit and provide headspace around a desk job and long commute. Keen to share her positive experiences with others, Lindsey qualified as a level 3 mat-based Pilates instructor in 2014 and more recently trained in BarreConcept. Having competed in national gymnastic competitions when she was younger, Lindsey finds the key to progression and greatest fitness gains is through mastering the basics and focusing on precision and form. These concepts are taught in her classes with the aim of building core strength to improve posture, movement and body awareness. Lindsey’s teaching style is relaxed and her classes provide a safe and informal space to develop strength and technique. The exercises taught are varied in order to keep the mind focused on the body and are always adapted to suit different fitness levels. 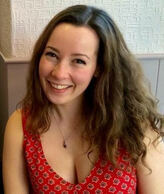 Lindsey moved to Cambridge to study for a PhD in Physical Activity and Public Health. She adopts the philosophy that Pilates and activity can benefit absolutely everyone and lead to improved health and well-being. For over 25 years Lisa has been exploring and developing her practices in massage and bodywork, yoga and chi kung. A certified hatha yoga teacher, Lisa trained in Rishikesh India with the Yoga Alliance. Her classes are inspired by her studies in Iyengar, Scaravelli Satyananda and Anusara yoga. Lisa also teaches chi kung, teaching various forms including Eight Brocades; Shibashi Taiji Chi Kung; Universal Healing Tao practices, meditation and deep relaxation techniques. Lizzie started teaching yoga in Cambridge in 2008 - having trained with the Amrit Nam Sarovar Yoga school and then with Camyoga. She started teaching because yoga has made such a difference in her own life and she enjoys passing on what she has been taught. Lizzie practises and teaches Kundalini Yoga as taught by Yogi Bhajan. 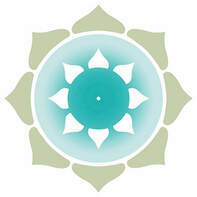 A blend of spiritual and physical practices, Kundalini Yoga incorporates movement, dynamic breathing techniques, meditation, and the chanting of mantras. The goal is to build physical vitality and increase consciousness. She is also certified in Ayurvedic Kansa Vakti foot massage and Gong relaxation. Louise has over 20 years experience working with children and their families. In 2014, after several years of personal practice she qualified to teach at Camyoga, then went straight on to train with Jyoti Jo Manuel at the Special Yoga Centre for Children in London. She has since qualified as a Starchild Yoga teacher with Siri Arti and teaches yoga to children and teenagers exclusively. She is currently training to be a Yoga Therapist with Yoga United under the mentorship of Jyoti Jo Manuel. Louise is passionate about empowering children to discover and use their mind-body-heart connection to feel embodied, healthy, happy and peaceful. She believes that the best teacher you have is yourself, and that practising yoga and mindfulness at an early age supports you to be self-aware, attentive and more ready to manage life’s challenges. She believes wholeheartedly that yoga helps bring the body into balance, supporting self regulation and therefore maximises children’s potential from within to be the best version of themselves. Her work as a Psychiatric Nurse in the Department of Child and Adolescent Psychiatry, and as a Matron and 1-1 Teaching Assistant in schools, has given her a wealth of experience in working with children with emotional, behavioural and sensory integration difficulties. She has an honours degree in Mental Health Nursing and training in Family Therapy, Mindfulness, Autistic Spectrum Disorders, ADHD and Reiki. With over four years of residential training at the Bihar School of Yoga in India, as well as many years of personal practice and teaching experience, Mahesh has had an exposure to yoga in its complete form and it has been his continuous effort to introduce it to his students worldwide. Mahesh is a dedicated and talented kirtanist, regularly leading Satyam’s Saturday night kirtan sessions. Margaret was originally taught by Iyengar when he used to come regularly to the U.K in the early 1970s, and she continued to study yoga when she began teaching herself soon after, in Manchester initially, and since then mostly in Cambridge. In Margaret's class, the practice starts by stretching and gradually working into the classical yoga postures to one’s best capacity, using the body’s intelligence to promote health and wellbeing, whatever one’s age or ability. Mind and body are fully engaged in this practice and integrating the breath with movement releases old tensions and allows change to take place without injury. Unlike other physical activities(running,gym work,dance etc) there are no goals except the experience of greater understanding of the processes of the body and mind,leading to increased enjoyment of the the present moment. Physically, Rachael says the practice of yoga makes her strong, intellectually it stretches her, emotionally it soothes her and spiritually it allows her to grow. As a person, Yoga has given her an inner strength and confidence combined with a humbleness for this divine practice. The experience as a scientific researcher Rebecca has gained over the last 20 years has helped her form a rich approach and style of teaching and communicating matters Yoga. She holds a PhD in Organic Chemistry from University of Cambridge and is a chemistry graduate of Imperial College, London. What drives her in life, yoga and chemistry is a deep sense of enquiry for getting to the truths underpinning the Universe – the inner and the outer. Rebecca holds several yoga teaching certificates and diplomas including Insight Yoga Teacher Training with Sarah Powers Mindfulness & Inner Practices in Yin Yoga; Insight Yoga & Psychological Inquiry: An Integrated Approach; Yin/Yang Yoga & Mindfulness Meditation. She also loves it hot and holds a500-hr RYT Hot Yoga Integrated Studies Teaching Diploma as well as 200-hr RYT General Yoga Teaching Diploma. Shaili is a professional Iyengar Yoga teacher from Tehran, Iran. She took her first Iyengar yoga class more than two decades ago at the age of ten and ever since yoga has been a constant source of strength and inspiration in her life. Through yoga, she has had opportunities to travel widely, including several times to the RIMYI Centre in Pune, India, where she experienced first-hand the light of Guru ji, B.K.S. Iyengar, and his family. Her first teacher, Mahyar Raz, transformed her understanding of yoga forever with her profound knowledge of anatomy and yogic philosophy. She has attended more than six hundred hours of intensive workshops led by Mr. Faeq Biria, a world-renowned yogi based in Paris, from whom she earned her first teaching certificate in 2007. Since moving to Cambridge at the beginning of 2014, she has been a student of Sasha Perryman, who helped prepare her for her Junior Level III and Senior 1 assessment and whose humility and dedication to a life of yoga is an inspiration to all. Shaili is the REP of Cambridge Iyengar Yoga, representing it to the IYUK (Iyengar Yoga UK). ​Tahnee Fournier, ERYT-500 began her yoga practice in 1999 and has been teaching Hatha Flow Yoga since 2002. Tahnee is a yoga teacher trainer and has lead successful teacher training programs in the Cayman Islands with workshops from Ireland to Canada. Tahnee is known for being a fearless yoga instructor who combines skillful biomechanical alignment and dynamic sequencing for a powerful experience of the body, mind, and heart. Tahnee infuses her classes with ancient philosophy for modern day living; her classes are rich with stories, laughter, and inspiration. Tatiana has been practising yoga for over 15 years and teaching at Satyam since 2017. She believes yoga is an essential tool that helps attain true health and wellness. Tatiana’s style is exploratory, energizing and fun. Her passion is in helping her students explore their body and mind so that yoga becomes not only a physical exercise, but also a tool to stay connected to the present, overwrite any outdated behavioural patterns, build resilience and cultivate curiosity and enthusiasm for life. Her regular classes at Satyam are on Wednesday nights. Tiffany has been practising Yoga since 1998 and teaching since 2010. She first tried Yoga when she lived in China and was looking for support when she had difficulty conceiving her first child. Along with Chinese medicine and radical changes in diet and lifestyle, this (after a painful four-year fertility journey) eventually did the trick. That journey proved to be the gift that turned Tiffany’s life around and set her on her path of discovery. Her passion now is to help other women navigate their own healing and empowering transitions to a life that is aligned with the cycles of nature and their own authentic selves. Tiffany practised Iyengar Yoga for 8 years, before - by now living in Italy - discovering MogaDao Yoga, which brings asana together with Chinese Five Element theory. Tiffany trained to teach MogaDao Yoga with founder Zhenzan Dao. She is also a qualified Naturopath and Reflexologist and a certified teacher of MogaDao Qigong and MogaDao Sacred Daoist Sexuality practices for women. She also had the pleasure of training to teach Birthlight Pregnancy Yoga and Fertility Yoga with Francoise Freedman and Womb Yoga with Uma Dinsmore-Tuli. Tiffany returned to the UK in 2011 and has since been teaching MogaDao Yoga, MogaDao Qigong and Wise Womb Women’s Circles in Cambridge. In her Yoga classes, she favours slowness, encouraging people to feel in deeply as they move with self-reverence, precision and grace.